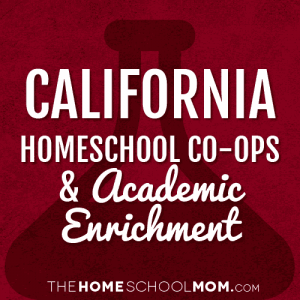 Our listing of California co-ops and academic classes for homeschoolers is ordered alphabetically by city, with co-ops in the first section and all other academic resources below. If you would like to submit a California co-op or academic resource, you may do so using the red button above. Enrichment co-op offering classes and activities year round for all ages. Desert Valley Creative Learning CollaborativeWe serve the Coachella Valley (Indio, La Quinta, Palm Desert, Palm Springs, Cathedral City, Rancho Mirage, Desert Hot Springs), as well as surrounding areas. On-going French lessons one-on-one as well as small groups in East Bay area. Creative Learning place is a vendor for: Sky Mountain Charter School, Golden Valley Charter School, and Gorman Learning Center. Variety of classes offered throughout the year. A variety of classes for grades 1-8. Online resource for homeschoolers in Orange County, CA, Charter schools, classes, field trips, and events listed. 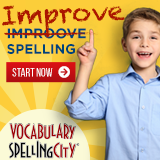 Build-A-Project creates customized projects for homeschool families on any topic, grade, and subject! Build-A-Project focuses on the individual child and how he/she learns best. Come learn to read or enhance current reading skills while having fun. Morning classes for Reading, Writing, Math, and Comprehension/Fluency. Individual tutoring available. Hop aboard the Magic Bus that will transport you to 1960s San Francisco for a fun-filled historical city tour. Located at Union Square on Geary street in San Francisco, CA. Duration is 2 hours. 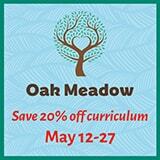 Helping families succeed in their homeschooling journey. Providing classes, tutoring, clubs, events & a nurturing community for adults and students alike since 2007. SBLALC is a campus that rents classroom spaces to teachers who provide home school friendly classes and events.